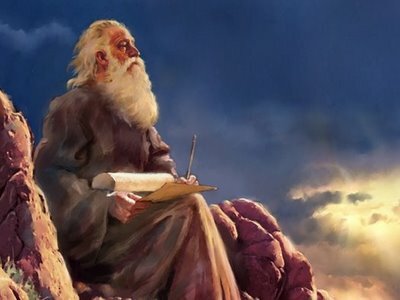 According to history it is known that Isaiah beyond being a Messianic prophet was also a priest in the temple. Isaiah 6 we studied here extensively. Isaiah was in the temple. He was a priest but he was also a prophet, born into the royal line. So Isaiah like Melchizedek, David and Yeshua was also flowing as kingly priestly and Prophetic ministry. When we examine Isaiah we see very clearly a prophetic minister who prophesied toward the fall of the Kingdom of Israel. We see Him prophesy Yeshua in detail. What we see in Isaiah is a flow of the priestly authority bring out of the Glory clear vision of God. My motive for launching this message is as an exhortation from God to His modern day Prophets. God is saying do not cheapen the prophetic call in the Midst of My Ecclesia. The prophetic are merely foretelling the seasons! God is calling to prophets to come into the priestly dimension! That is come into “God’s House” and into the Holy Place. More than ever before the Ecclesia needs a vision of the True God. Stop prophesying breakthroughs if you have first not imparted an accurate vision of Yahweh. The breakthroughs will not come to the ignorant. Those who have no knowledge of the Lord and His Ways!!! Stop prophesying finances and healing if you have not first acquainted your hearers with He who is health Himself and Provision itself. Isaiah’s call was a confrontation! He was confronted with the Holiness of God. He was undone!!! Indeed from the Holy Place came pinnacle revelation of not only the Captivity but the Coming of Christ and the Coming of God to earth in latter days! The Lord wants to draw His Prophets and confront them with His Holiness so that what they communicate will be purely from the Glory. God wants His Prophets to Become Priests! The priest is given a Temple/ Tabernacle. From there and the Glory resident does God pour out Grace to live in His Presence. And so what the priest does is draw close to Him through established ordinances. And only from that place can the prophetic flow. Let us not corrupt the prophetic Office. Prophets, I am drawing you into my Glory as you burn the incense of prayer I will draw you near to me! From that place you shall see and know my Holiness. You shall know how to walk in Me. You shall see and discern me in the earth and you shall expose deception. I shall change your message to be one that reveals Me. I say into you come near to me! Let me draw you into your priestly function. That way your prophetic voice shall speak of heaven. And as you speak so my Fear shall be manifest. As you speak demons shall flee. As you speak so sickness be healed. Your role is to announce the Coming of the King of Glory! Open, open ye the Everlasting eternal doors and Let Him come in! For He shall come into your midst. So receive the call to His Priestly flow. Be activated today. And see eternal things and the King manifest today!